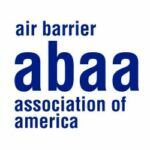 The Air Barrier Association of America (ABAA) will prepare you for the challenges and rewards in the air barrier industry with our Air Barrier Installer course. ABAA sets the standard in quality and assurance and provides installers with a sense of professionalism and pride. Installers must sign and return the original of the Installer Certification Application documentation past relevant employment history. Click HERE to be directed to the online form. Installers must sign and return the original of the Installer Licensing agreement between the installer and the association outlining the conditions and terms all by which all certified installers must abide. Installers must sign and return a notarized original copy of the affidavit confirming hours of field experience*. Installers are also required to attend training and achieve a passing average grade of 80%, complete all required paperwork, submit certification payments as well as pass an on-site skill assessment. Training is an investment in the future and a tool for success. ABAA’s elite training program provides you with an edge in an increasingly competitive marketplace. Whether you are looking to upgrade your skills, or searching for a new career, ABAA’s Air Barrier Installer course is designed to meet your needs. The Air Barrier Association of America training courses provide participants with the required skill sets to deal with all manner of air barrier assemblies. Certification sets you apart from the competition and identifies you as a professional. In addition, employing a certified installer and a trained quality assurance program administrator are requirements for all ABAA accredited contractors. Please note that training is only one component of the certification process. Installers are required to have a minimum 3000 hours of experience in air barrier applications or related fields and provide supporting documentation. Certification is granted by application method by training course complete. Certification is non-transferable.